The first Presidential Debate is over. Clinton's natural management style, emphasizing planning and preparation, served her well. She seemed well-prepared for the questions and comments that came her way. Trump, whose style emphasizes flexibility, spontaneity, and making things happen, wasn't on his game. Like an all-pro gunslinger quarterback, you sometimes miss a wide-open receiver or throw an untimely interception. Watching the debates and media coverage of the candidates offers some insight into the contrasting personality and styles of the two Presidential candidates. But we also get a good deal of partisan spin, portraying what ought to be more neutral mannerisms and characteristics into something unflattering or negative. What I endeavor to do here is contrast the leadership styles of the two candidates using the lens of Personality Type to better understand the character, temperament, and behavior of the two candidates in an unbiased and non-political way. In another article on Faces of Personality Type, I suggested and examined what I believe is Hillary Clinton's Personality Type: INTJ. While I am not aware of Hillary Clinton "owning up" to a particular personality type, I believe most experienced "Type Watchers" would agree with my speculations. So for the purposes of this article, I'll be speaking as if these designations are accurate. I've also opined that Donald Trump's Personality Type is ESTP and I believe most students of Personality Type would agree with that assessment. Only one letter of the Type Acronym is shared between them (T for Thinking) and as I'll reference later, there is a difference here too in that Hillary extraverts her Thinking (making it more apparent to others) whereas Donald introverts his Thinking, making it less apparent to others and in particular in the media and in public situations. As anyone who has watched both candidates on TV we know that their personality styles are quite different from one another and this difference is indeed reflected in their Personality Type. If the reader is not familiar with these Myers- Briggs type letter designations (They refer to mental processes and mental orientations first identified by psychologist Carl Jung and later more fully developed by Isabel Myers and later many psychologists and students of Personality Type who were inspired by Myers work.) I recommend a review of our article Introduction to Personality Type. To follow is an examination of the differences in these two types and the degree each candidate seems to represent classic characteristics of each of these personality types. This one polar opposite primary orientation greatly affects a person's leadership and management style. 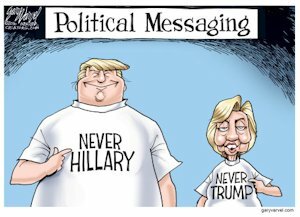 And I believe the contrast is more magnified because Trump seems very Extraverted and Clinton is clearly Introverted. Her biological introversion is why Hillary tends to play her cards close to the vest, is guarded, and more cautious. His biological extraversion is why Donald seems to lack a filter on voicing his thoughts. Extraverts, particularly those we'd describe as "very extraverted," have trouble examining thoughts until they are voiced out loud - in the public domain as it were. Hillary's Intuition is the centerpiece of her personality. In INTJs, their dominant Intuition is Introverted so it is not easily seen by others. Introverted Intuition reflects on patterns, relationships, symbols, meanings, and perspectives on matters from complex phenomena to magical connections to practical problems. The Introverted Intuitive mind typically creates a unique vision and arrives at unique insights about things, phenomena, or people. It strives to discover the essence of things and fill in the missing pieces of a puzzle. Introverted Intuitive types frequently will have complex visions or perspectives that they are unable to explain with clarity to others. Donald's Sensing is the centerpiece of his personality. In ESTPs, their dominant Sensing is extraverted so it is easily seen by others. Extraverted Sensing is about seizing the moment, becoming immersed in the here and now, pleasurably and spontaneously interacting with people, things, and situations of interest. It is being aware of, fully tuned into, and energized by the options and impulses of the moment. It is making "work" into play, learning by doing, and enjoying the creative process. It is being attuned to the variety, quality, and esthetic appeal of sensory experiences. Extraverted Sensing notices tangible realities and relates to them in a pragmatic fashion. Hillary's default orientation in dealing with the outside world emphasizes planning and being organized, looking before leaping. The fact that she extraverts her Thinking makes her even more methodical in how she approaches people, things, and situations. As an Introvert, her Thinking is subordinate to and a tool to support the visions of her Introverted Intuition. A typical INTJ leadership style would emphasize competence in Planning, Organizing, Directing and Controlling. Being Prepared and Being Competent are important to doing one's best work. That's why Hillary isn't a fan of press conferences as it is difficult to control what might happen and because it usually is a TV recorded event any missteps will be recorded in posterity eroding confidence in competence. Being spontaneous and interacting competently in front of large groups are learned skills for an INTJ and mastery of them is challenging because it's the flip side of their strengths which are tied to Introversion. Drawing upon her strengths, we can expect a huge amount of preparation and organization will go into preparing for Presidential Debates. She'll need to create an organized mental collection of touchstones to draw upon, a huge data base of responses for a variety of questions and situations. Hillary's inner vision is her energizer but what the outside world sees of her leadership style is her planning, organizing, directing, and controlling nature. Her website articulates well her Vision for America as well as demonstrates her comprehensive & organized management style (note the bullet points in each of 38 issue content sections). Donald's default orientation in dealing with the outside world emphasizes tuning into the moment, being flexible, adapting, and spontaneous. This orientation draws upon his dominant Sensing, experiencing and interacting with the outside world of people and things. This interaction, with all of his senses, is Donald's life blood. It is how he works best, talking and being engaged with others, and physically moving from place to place. A person like Donald Trump would die as desk jockey. So Donald loves press conferences, loves public events, and loves sparing with people. This sort of interaction is his life blood. Spending an inordinate amount of time in relative isolation planning and preparing for a debate isn't the cup of tea for an ESTP. While Hillary's preparation will be building that important database of potential responses, Donald's debate preparation will be more like sharpening skills, warm-up exercises, and working from general game plan. While Donald's advisors and handlers certainly want him "prepared" for a wide variety of questions, he could not temperamentally tolerate the kind of extensive and detailed preparation that Hillary will go through. As mentioned earlier, Donald's Thinking is introverted so it is hidden as well as being subordinate since Donald is a clear extravert. Facts, ideas, opinions need to be aired out-loud, hear and experience them before they can be digested by his Introverted Thinking. However, the media reinforces the idea that expressed thoughts ought to be well-thought out before being expressed. In this manner, the media biases expectations towards Introverts. Trump's leadership style will be highly interactive, engaging the thoughts and ideas of lots of people. Negotiation and coming to agreement are important components to this style. But once things have been aired out, some shape has appeared, and has passed testing of his inner Thinking, he's ready for action. ". . . perceptive minds that travel the breadth and depth of universal mysteries, contemplating its multilayered complexity, seeking the trends that will define the future. With time, clarity of vision comes. When it comes, they are propelled towards the vision and all their actions lead to it." Hillary's Vision on how things are and how things should be, are both deep and complex. They involve sophisticated concepts, full of nuances. They've been formed and sculpted over a long period of time. Her introverted Feeling adds an emotional commitment to these understandings, a loyalty to and belief in her own vision. Hillary's introverted Feeling also adds the "idealistic" component to her Intuition; helps explain the roots of her "idealism." Flip side of Loyalty to the Vision. In the Tech world we see lots of examples of innovative, visionary INTJs who had the right vision, combined with perseverance and command of the logic, details, and organizational skills to achieve the vision. But there is a flip side to this key success combination of the INTJ personality pattern. It happens when The Vision is wrong or when circumstances have changed to make The Vision no longer accurate. That emotional inner Feeling connection to the vision, that helps propel and energize action towards achieving it, can keep an INTJ on the wrong course far too long. INTJs are most effective when they are task focused, laser-like on an objective. Unfortunately, this strength can create tunnel vision. Things that ought to be noticed aren't due to the focus. If Hillary surrounds herself only with people whose strength is competently completing the mission there will be no built-in check to plunging in the wrong direction. The lemmings will plunge well-organized and confidently into the sea! Skill in negotiation, persuasion, and other "extraverted people skills" can be valuable Presidential Leadership Skills. While she has been working on developing the "people" side of her personality, it's not her natural strength. Her choice of Tim Kaine as her VP running mate shows evidence she understands the need to supplement her natural strengths through using others on her team. ". . . Always on the alert for what needs immediate attention or what might provide a bit of action, excitement or entertainment, they engage quickly with their environment. They seek and enjoy freedom, are good-natured, direct, and tolerant and are often the ones who provide levity. . . They have a way with dealing with people on a very equal platform and are not easily star struck. Rank, celebrity and status mean little when they are face to face with another individual." Trump's action orientation and tendency to "shoot from the lip" get him in trouble. When he has thought something out and arrived at a conclusion, he is quite unshaken in his confidence. To him everything seems logical and ready to go. But sometimes action-oriented people can confidently launch ships prematurely. Even with the right kind of people surrounding him, willing to offer contrary views, and also possessing some more deliberative skills (similar to what a Hillary would offer), he can be expected to make a few mistakes. Without the right kind of people surrounding him, the mistakes could be more costly. But the vision of Trump getting his nose out of joint and pushing the nuclear button is comedic fiction. No action that serious would ever be taken without extensive involvement of lots of competent people. Despite claims to the contrary, he has a brain and is a logical thinker . . . not an emotional thinker. In our media environment we don't see that side of The Donald, but there is plenty of evidence to infer that it is there. 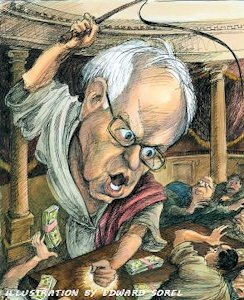 - - Bernie Sanders - INFP - Mr. Rodgers morphs into the Social Justice Warrior. Looking behind the media mask of The Donald! - - Barack Obama INFJ and Mitt Romney ISTJ. - - Multi-faceted nature of Hillary Clinton INTJ. - - Politics and Personality Type links between our value priorities and our mental hard-wiring. Looking beyond the 4 MBTI letters to see the complete personality type . . . and the complete person! Trump's candor and willingness to engage with others (often and spontaneously) has brought him lots of supporters. But also lots of critics and opposition. Trump seems to particularly enjoy jousting with the media in general. And when attacked he responds loud and clear. Those opponents who are among the intellectual elite and pundits are manageable challenges. The ones that present the real challenges are more average people who have an emotional and visceral dislike or distrust of him. Just as Hillary needs to surround herself with people who can help her avoid the downside of her strengths, Trump needs to temper his interactions with the Press, letting others whose temperament tends towards more diplomacy do some of his speaking. His ego loves the limelight and he enjoys the game but the mainstream media is a 1000 pound gorrila you can't afford to have as an enemy. 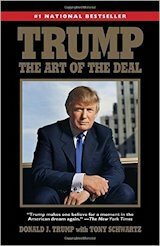 My intuition tells me that the guy who considers negotiation a vital leadership skill and is the champion of the "Art of the Deal" will morph into a kinder, softer version of what we have seen during the campaign. Up to this point, he's been in a winner-take-all battle which has brought out all of his competitive impulses. But the job of President is a different ball game, where things like consensus, cooperation, negotiation and win-win are important to success. There is evidence in his past and in what is known about ESTP personality types, that these skills are within his repertoire. So can he control his mouth and allow the emergence of Donald Trump 2.0? Whose Leadership Style is Right for the Times? Do you buy into Hillary's vision of what American should be and value her directorial skills at marshaling action towards that vision? Or do you buy into Donald's vision of what America could be and value his entrepreneurial skills at getting things done? Note for Type Watchers: Attempting to accurately type the personality of public figure based upon media information is ripe for mistakes. This article and others I've written that discuss the personality types of public figures are an educational exercise in understanding different aspects of personality type theory with a dash of entertainment thrown in to add some interest in the subject. In thinking about the personalities of Trump and Clinton, Scott Savage wrote an interesting post on Bias & Presidential Preferences. New article: Donald Trump 2.0 Personality? One reviewers comment: "Donald Trump provides for our benefit his eleven Trump Cards of success. They include thinking big, protecting the downside, maximizing options, knowing your market, using leverage, enhancing your location, getting the word out through a public relations/marketing campaign, fighting back, delivering the goods, controlling costs, and having fun. Yet even these Trump Cards fail to fully illuminate what it is that makes Trump so successful." Our Revolution: A Future to Believe In. 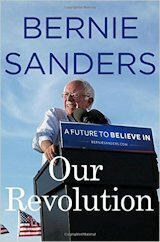 Not just a Bernie's manifesto of a "Just America" but insight into Bernie's history from his childhood to the present. One reader comment: "In terms of the writing style, it is relaxed but very compelling. I intended just to read a little initially and come back to the rest later, but I found myself unable to stop reading. " Bernie Sanders - INFP Personality Type - Mister Rodgers morphs into Social Justice Warrior? "8 Keys to Self Leadership: From Awareness to Action"
Dario Nardi provides a handbook on self-improvement using the four mental functions and our introverted and extraverted selves as a template for self-development. I've also found the book helpful in understanding the "inner workings" of folks whose mental wiring is different from my own.